The Buccaneer Barracuda, is, quite simply, like nothing else! A sumptuous L-shaped lounge with dedicated entertainment centre and 32? TV take pride of place at the fore - and converts to a comfortable double bed at night. At the rear is a bright and spacious double bedroom, with retractable bed. 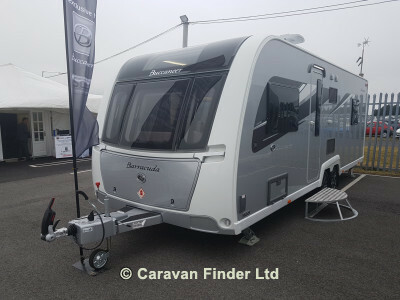 The Barracuda boasts a split-style washroom configuration, which can be used as an en-suite or family bathroom.